Hey y'all! 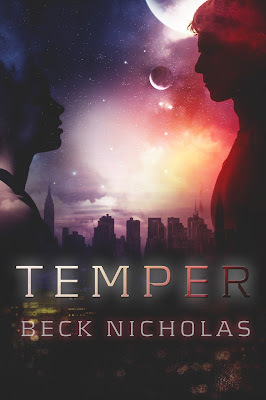 I have a guest post from Beck Nicholas, author of the awesome sci-fi book TEMPE! Oh and stick around for the giveaway! Haven't heard of TEMPER?Check it out! Thanks for having me here today. Temper revolves around the aftermath of the Upheaval, where they believe aliens triggered earthquakes and other natural disasters. This resulted in the launch of the Pelican – a multigenerational spaceship – to give humanity another chance. If I had to leave Earth right now I’d pack my family first. As much as they regularly drive me insane I’d want them in this fresh start. I’d bring my adored dog, Mat. He’s a very well-behaved border collie cross and loves inside, so the internals of a spaceship would suit him just right. As long as he could be with people and be fed it would be bliss. Although he’d be hanging out to get to another planet to chase a ball. 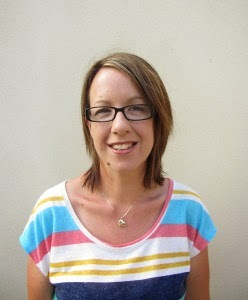 I’d take my photos and stories and the couple of pieces of jewellery my mother left me to remind me of her. I’d load my ereader with books for the journey and I would need something to write my stories down on. Which means I’d need my critique partners and writing friends too. I should take my running shoes but they might have to stay behind in favour of my chocolate frog that I’m saving from my trip to Harry Potter World. Also I’d need some Fruchocs – a south Australian delicacy of apricot/peach dipped in chocolate. Maybe I’d need those running shoes after all. THE GLITTERING COURT by Richelle Mead Giveaway!